If you are struggling today with loneliness in your singleness, in your relationship, or even in your marriage, there is Hope! 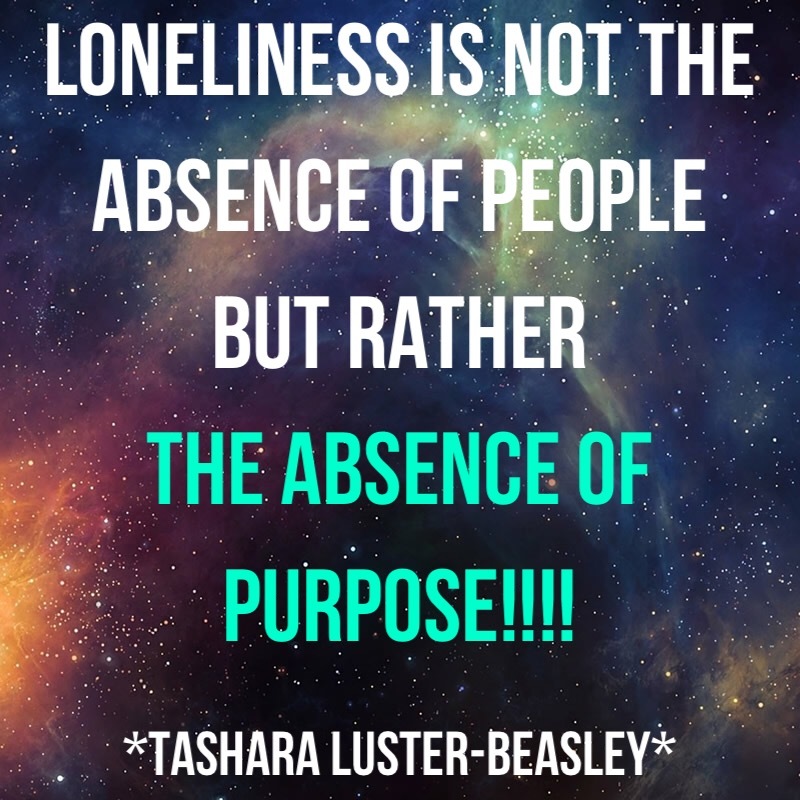 Loneliness is never really about a person or about people, but rather it’s about you really Pursuing your Purpose. The “loneliness” you feel is coming from a place deep inside of you that desires more from God, Purpose, & Life, not from a person or from people. When you love yourself & when you are happy, fulfilled, & satisfied within yourself, then there can be a compliment of love in a relationship because you both are whole. A relationship not even a Marriage relationship will Not Complete you, because it is not supposed to... God didn’t design love & marriage for that, but you can be complete in God! You can still “feel lonely” even in a crowd of people that’s because loneliness is not about people, but about Purpose! Stop relying on people to validate you & dictate how you feel about yourself & about your life. Never give anyone that level of power & control over you! 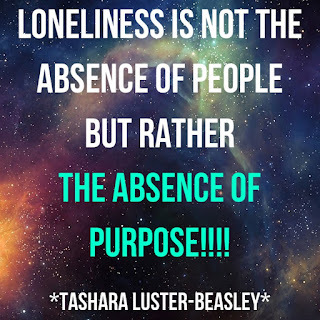 Get focused on Purpose & watch loneliness dissipate from your life.